Memory card – The name you know, the story you don’t! Before talking about memory card types, let’s talk about a little back story. If there’s one modern science innovation that has changed completely and radically in both the physical appearance and performance, it has to be something related to data storage, and it has to be solely a memory card. Fifty years ago, if you go to a man and tell him you can fit a data of millions of documents in a chip of a button size, he would definitely call you a mad person. Fifty years ago, storing data was expensive. And used to take a lot of space. We mean physical room space. If you have to store data of 300000 characters or in others words, an MP3 song, you would need a storage device of a minivan size. Now, things have changed and we all know at what extent. From magnetic tapes, disk cartridges, and floppy disks to CDs, flash memory, and memory card, we’ve come a long way. Now you can fit all the movies on IMDb’s Top 250 list in a single chip. Ever thought of trying that? That apart, let’s talk about these magical thing called memory card and different types and variations of it. These used to be the most popular type of memory cards a decade back when everyone was using digital cameras. Even now, most of the SLR/DSLR cameras use these SD cards which are of the size of a postal stamp. These SD cards are normally of 4GB size. And at a later time, when High Definition has started to become a trend, the demand for a bigger memory occurred. Then came into the existence, the famous SDHC and SDXC memory cards. The SDHC (Secure Digital High Capacity) cards are usually of the size of 4GB to 32GB. With high performance and economically available, these SDHC cards are rapidly used by many digital camera users. On another hand, we have SDXC cards which come with bigger data capacity and a heavier price tag. The capacity of this SDXC (Secure Digital eXtended Capacity) cards varies from 32GB, 64GB memory cards to 256GB memory card. With faster transfer speed, efficient performance, these SDXC cards are mostly used by professional photographers. Not only in digital cameras, these SD cards are also used in gaming consoles, GPS receivers, cellular phones, PDAs, and digital audio players. Also, these SD cards are varied according to their classes, which we will talk about later in this article. Multi Media Cards, also known as MMC, are almost like clones of Secure Digital (SD) cards. But when we talk about differences of the both, MMCs come with higher capacity (up to 512GB) and faster transfer speed. These MMCs are identical with SD cards in appearance and like SD cards can be used in digital cameras, PDAs, and audio players among others. Although SD cards are more common than Multi Media Cards, the MMCs are still used widely in memory industry primarily and mostly in portable devices. Also. there’s another type of MMC card called MiCard. These MiCard support backward extension and have memory capacity up to 2TB. Yes! 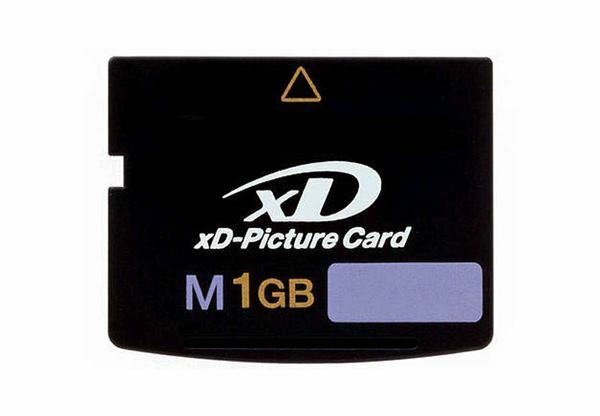 XD cards, also known as eXtended Digital cards are almost similar in appearance with SD cards, (syllabically too, by the way), but are not used as much as the latter. These XD cards are conservative and can only be used in a couple of brand cameras like Fujifilm and Olympus. In fact, these cards are jointly developed by these two companies. However, a few of the latest and upcoming cameras are also adapting this XD card technology. Which means, the era of this type of cards is not over yet and we will see more of these in the future. But there is a disadvantage of these XD cards: Memory is fading out/deleting automatically many untold time while using these cards, which can be a major drawback of the users of Fujifilm and Olympus. The maximum capacity of these XD cards is 8GB. For now, the price of these cards is expensive but critics say that along with the flash memory cards, the price of these cards will also decrease. Memory Sticks are another proprietary memory cards which are conservative and only used by a single/few companies. 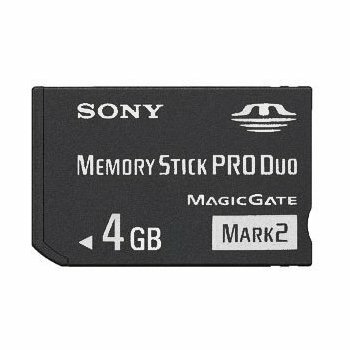 These Memory Sticks are exclusively used by Sony digital cameras and other Sony devices like the PlayStation. And for the reason that no other company has adopted these Sticks other than Sony, the price of these chips is a bit expensive. These sticks are similar to SD cards but slightly smaller. And with the use of an adapter, these sticks can be used with any digital cameras or other electronic devices. Styled as CompactFlash (CF) cards, these chips were invented by SanDisk back in 1994. Most of the DSLR cameras use these CF cards which are cheaper and reliable when compared with other types of cards. Of all the memory cards, these CompactFlash cards have a different approach to connecting and writing data. Unlike all other cards which use contacts, these CF cards come with a series of holes. These holes connect the pins on the device and things like reading and writing happen. And of this type, there are two types of CF cards which come with different capacities: Type I and Type II. The Type I cards come with 42.8mm x 36.4mm x 3.3 mm dimension and support 3.3V operations. Whereas the Type II cards come with 42.8mm x 36.4mm x 5.5 mm and support 5.5V operations. At last, comes the household type of memory cards. 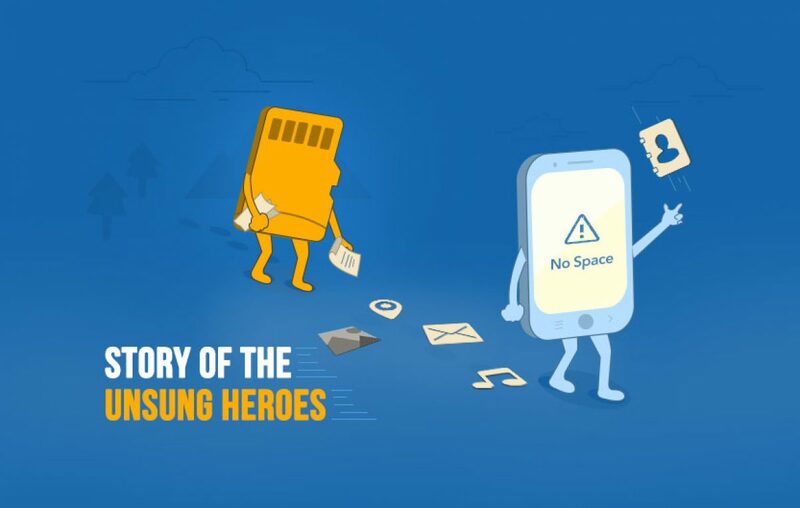 After the huge success of SD cards, miniSD cards were developed which are exclusively for mobile phones. Now the big difference between an SD card and miniSD is the size. These mini and microSD cards are half the size of a normal SD card. The average data capacity of these miniSD cards is 16MB to 256MB storage. With an ever increasing evolution of mobile phones, miniSD cards have come into existence and were used all around the globe like there’s no tomorrow. Mobile phones eventually became smartphones and the miniSD cards are no longer need. While the world is looking for a rescuer, a hero named microSD comes through a thick fog and saves the world. These microSD cards are the latest type of memory cards which are now ruling the memory world. Tap the guy beside you and ask him whether he has a microSD card? If he says no, ask him which planet he’s from? 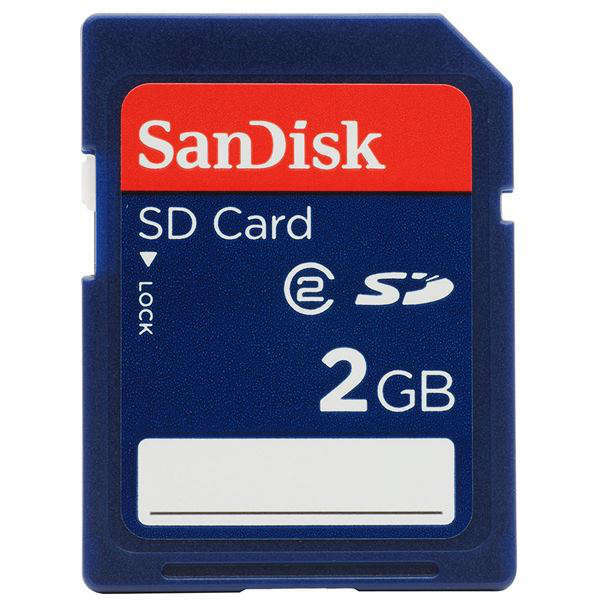 These microSD cards are mainly used in smartphones and many other handheld devices. The capacity of these cards varies from 2GB to 256GB. These cards are even smaller than the SD cards, almost 1/4th of it. And with backward compatibility, these microSD cards are even compatible with devices that support SD and miniSD cards. You just need a suitable adapter for that. The majority of the type of memory cards that are being used are a 16GB memory card and 32GB memory card. Now that the types of memory cards over, let’s talk about different classes these memory cards come with. These classes are differentiated according to the writing and reading speed of memory cards. Within these classes, there are two types of them, which are Speed Class and UHS Speed Class. Let’s get to it. This class is meant for SD, micro/miniSD cards, and a couple of other types like Memory Sticks and CompactFlash cards. Normally, this speed class is checked for lower definition videos. Mostly used in camcorders or standard smartphones, this class has 5 levels, from 2, 4, 6, to 8, and 10. And the minimum speed of these levels starts from 2Mbps and goes up to 10Mbps. A table below shows the minimum speeds of all five classes clearly. Mostly used in high definition capturing devices like DSLR cameras and high-end smartphones, this class type is only meant for SDHC and SDXC cards. With high reading, writing, and transfer speeds, this class was invented in 2009. Being backward compatible, these SDHC & SDXC cards can be used in a non-UHS host. But it will work only in normal Speed Class. These UHS memory cards are used for real-time broadcasting, and to capture videos of extra high-quality videos. This speed class has 2 levels within itself, which are UHS 1 and UHS 3. The minimum speeds of these levels are shown in the table below. 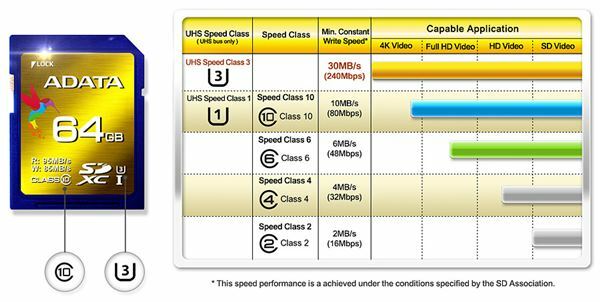 The table below shows everything in detail about both the Speed Class and UHS Speed Class and their capable applications. Some say knowledge is power. And some say knowledge is divine. But we would say that knowledge is comfort and solace. Almost a luxury. Whenever you are buying something, be it a TV, a mobile phone, or a mere memory card, you don’t want to get fooled and do a wrong buy. No one does. That’s where the BestPriceOn comes and gives you all the information you need before buying a product. And now you have all the info you need to buy a memory card. So why don’t you go on and do some shoppeeeeeing! Previous article Redmi 4 vs Redmi 4a - Who wins the battle of budget mobiles? Next article You can't ignore the best pen drives in the market!